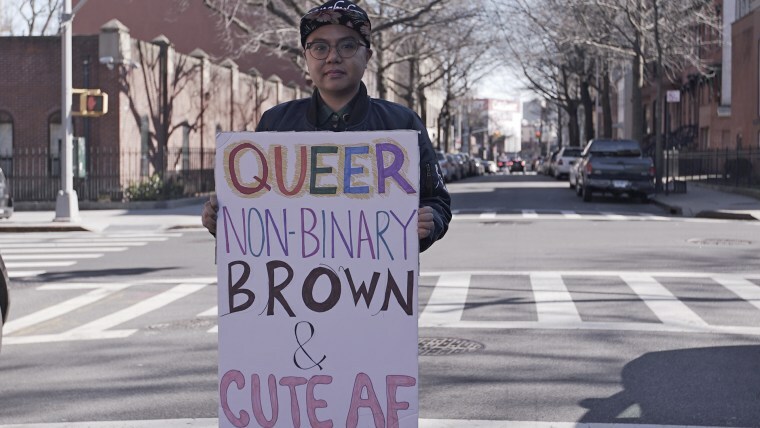 I’m a queer non-binary first-generation Filipinx-American child of immigrants. I’m also a theatre director and activist, digital advertising manager, fashion blogger, content creator, and intersectional feminist. Oh, also: my name is Angela and I use they/them pronouns! I’m inspired by people who are unapologetically themselves in the face of a society that values cis/heteronormativitity. When I saw the #ShePersisted hashtag go viral, I noticed that there were very few trans women and gender non-conforming people being associated with it. Because of that, I created my own image shares featuring people like Laverne Cox, Jennicet Gutiérrez, and Kate Bornstein. They are my inspirations. So, I’m an extroverted introvert. Through my work, I’m around other people constantly, and in many ways I thrive off of that connection. At the same time, those interactions can drain my energy and I’ll need time in solitude to “recharge.” The challenge is balancing the two, and remembering to take care of myself, both physically and emotionally. Tell us about the biggest risk you ever took. That would have to be: coming out to my conservative Catholic Filipino family. It’s been a tough journey, but today they fully embrace me and my partner. I know that this isn’t the experience for all LGBTQIA+ Asian Americans, so I consider myself lucky and hope by being visible, I can help others. If you weren’t doing what you’re doing now, what job would you want to have? I joke with my friends that I want to be the Filipinx Roxane Gay when I grow up! But actually, she’s one of my idols and to follow her footsteps as a writer, professor, speaker, and beloved Twitter personality would be a dream come true (and something I’m working up to). One of my idols is Marsha P. Johnson, a trans woman of color who led the Stonewall Riots which were the beginning of the modern fight for LGBTQIA+ rights in the United States. The “P” in Marsha P. Johnson stands for “Pay it No Mind,” which is my personal motto. She inspires me to stay in my own lane and live my true, best life. ...we are the fastest growing racial group in the U.S. and our stories deserve to be told and celebrated!